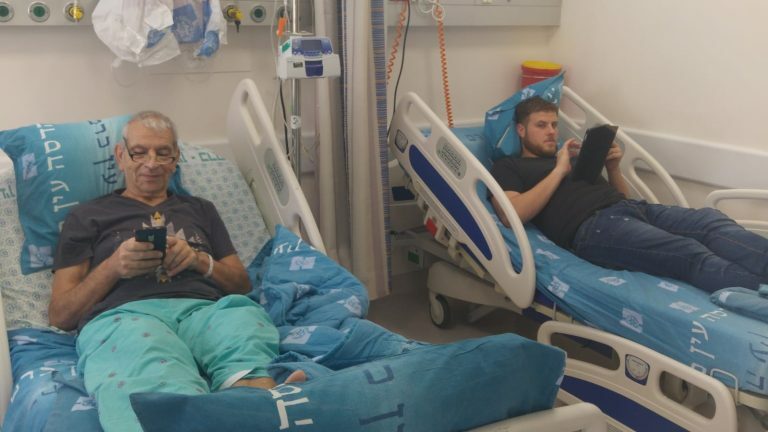 Surgeon at Hadassah University Medical Center in Jerusalem does unprecedented vein transplant to save the life of 60-year-old Israeli Avi Yavetz. You’ve heard of heart transplants, kidney transplants and bone-marrow transplants. Now doctors at Hadassah University Medical Center in Jerusalem have added a new type: the vein transplant. And it saved the life of 60-year-old Israeli Avi Yavetz. Yavetz suffers from peripheral vascular disease (PVD), a blood-circulation disorder that causes the blood vessels outside the heart to narrow and become blocked. In one of his legs, the veins and arteries were obstructed and blood wouldn’t flow. An amputation was a near certainty – an unfortunately all too common occurrence in PVD patients. Yavetz did have an artery and veins inside the leg that could restore blood flow. But he was missing a vein large enough to connect the artery with the smaller veins; because of his past surgeries for his PVD, none of his veins were in good enough condition. What if someone in his family could donate a vein? That was the “crazy idea” that came to Prof. Ron Carmeli, chief of vascular surgery at Hadassah. All four of Yavetz’s children quickly offered to supply a vein for their father. 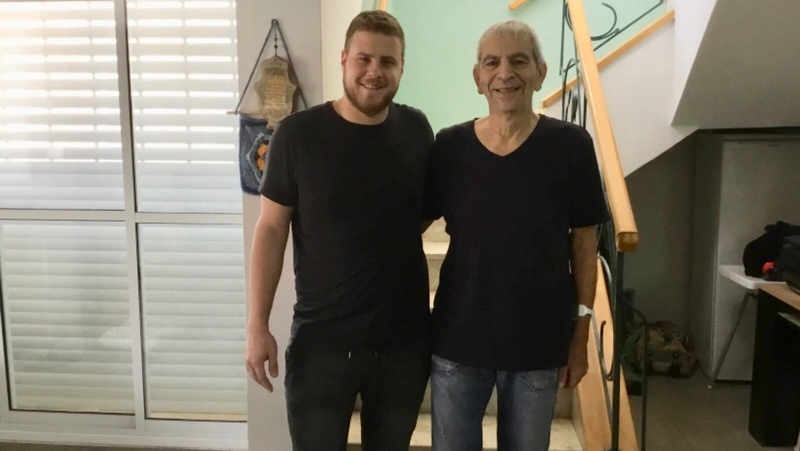 Carmeli subsequently removed a long vein extending from 27-year old Snir Yavetz’s groin to his foot, before surgically implanting it into the elder Yavetz. Vein transplantation has been done before – but only from a corpse. “A donation from a living person – and another family member in our case – is the first of its kind,” Carmeli said. Two weeks later, the vein is functioning and Yavetz’s leg “is safe from amputation,” Carmeli said. Yavetz is not out of the woods entirely. “The treatment of this patient is the same as every transplant patient, just like someone who has undergone liver and kidney transplantation,” Carmeli points out. Yavetz will need to take drugs to prevent rejection of the new organ and be carefully monitored. Brian has been a journalist and high-tech entrepreneur for over 20 years. He combines this expertise for ISRAEL21c as he writes about hot new local startups, pharmaceutical advances, scientific discoveries, culture, the arts and daily life in Israel. He loves hiking the country with his family (and blogging about it). Originally from California, he lives in Jerusalem with his wife and three children.